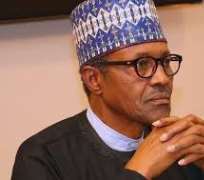 President Muhammadu Buhari has expressed deep shock over the killing of military personnel in Metele village of Borno State by Boko Haram terrorists, assuring that immediate measures have been taken to ensure that the loopholes which led to the fatalities are blocked once and for all. Reacting to the tragic incident, the President said that his administration remains ever committed and focused on the security of military personnel and other citizens. According to President Buhari, “No responsible Commander-in-Chief would rest on his oars or fold his hands to allow terrorists to endanger the lives of its military personnel and other citizens. "Our loyal forces have proved their strength over the terrorists and we are ready to give them all the needed support in terms of equipment and manpower to succeed in ending the renewed threat. "In the coming days, I am engaging the Military and Intelligence Chiefs in extensive discussions on the next steps we shall be taking", Buhari said. The President noted that fighting terrorism has taken a global dimension, which necessitates international collaboration among states facing similar security challenges. Buhari reassured Nigerians of his continued commitment to their security and of his efforts to sustain the momentum in the previous significant successes recorded against the terrorists. He, however, advised Nigerians against making a political capital out of national tragedy, stressing that members of the armed forces are one family who are commonly committed to the security and safety of all Nigerians.